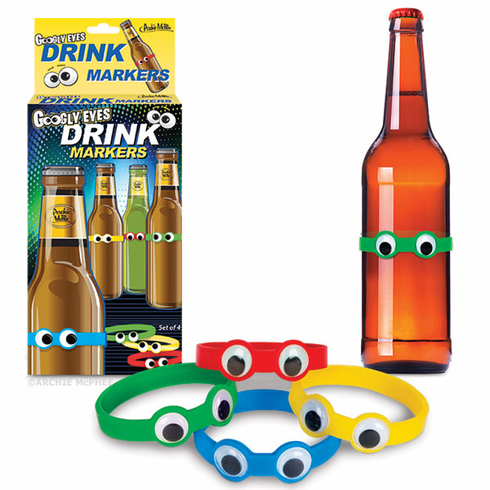 These silicone bands are designed to slip around most cans and bottles so you can tell which drink is yours! More importantly, they personify your beverage, turning it into a tiny person. YouÕll find yourself apologizing every time you take a sip. Each comes in a pack with four assorted colors.